Results from the game played Tuesday, September 18th. 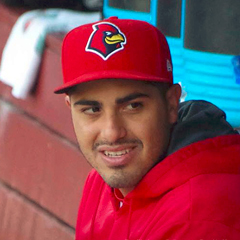 A career night by Alex Mejia led the Memphis Redbirds to a 14-4 victory over the International League champion Durham Bulls (TB) at Huntington Park, home of the Columbus (OH) Clippers. 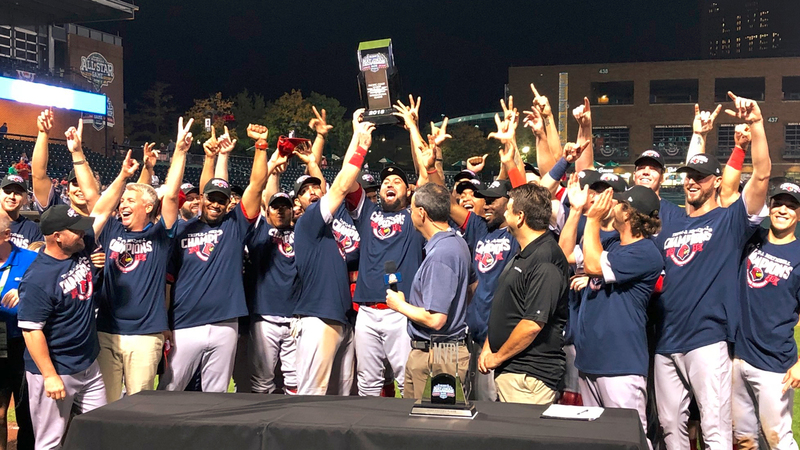 It is the first Triple-A Championship win in Redbirds franchise history, achieved in their third try. Mejia went a perfect 5-for-5 out of the three hole, doubling once while accounting for eight of Memphis’ tallies by scoring three runs and driving in five. His effort resulted in the designated hitter being named the contest’s Most Valuable Player and our Player of the Day. Right behind Mejia in the offensive effort was Lane Thomas, who took part in six runs. The center fielder made the play of the game defensively on a catch in short center and at the plate was 3-for-5 with a triple and massive three-run bomb that was part of his five knocked in. The blast capped a four-run eighth that essentially sealed the victory. The final three Memphis players with a multi-hit performance were Randy Arozarena, Rangel Ravelo and Andrew Knizner. Two of Arozarena’s three hits in five at bats were doubles, leading to two runs scored and two RBI. Ravelo and Knizner had two hits apiece. Ravelo added a walk and touched home three times in five at bats while Knizner went 2-for-4 with a double. Memphis generated 17 hits in all, went 8-for-16 with runners in scoring position and left just six men on base. 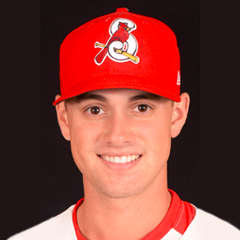 Not to be overlooked in this offensive onslaught is the performance of starter Kevin Herget (W, 10-11) who baffled the International League champions during most of his 5 1/3 innings of work. The righty allowed just five hits in all, exiting the game to the applause of both spectators and teammates with his team up 10-1 and a runner on first. But his replacement Tommy Layne was not effective, yielding an RBI double which plated Herget’s final runner plus a single and sac fly. The southpaw got the hook after plunking a batter, giving way to Edward Mujica. The veteran right-hander was touched for a bloop single that landed between the second baseman and right fielder and scored one of two inherited runners before he recorded the sixth’s last out. Lefty fireballer Genesis Cabrera displayed both his considerable talent and wildness during his 1 1/3 scoreless frames, issuing three free passes, two of which included very close calls on ball four. Chris Ellis retired both batters faced, stranding two of Cabrera’s runners. Giovanny Gallegos allowed a single to left to open the ninth but the base runner was erased on a 4-6-3 double play and the celebration was on. This wraps up The Cardinal Nation’s daily notebooks for the 2018 minor league season. But we swing back into action for the Arizona Fall League campaign, which gets underway on Tuesday, October 9th, and we look forward to seeing you then. 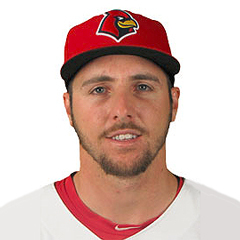 In the meantime, follow our daily announcements of the Relievers, Starting Pitchers and Players of the Year for 2018 at each level of the Cardinals system.